Fishing has heated up in Sooke waters, here at the end of June. Leigh Garrod sent in a nice fishing photo, first salmon caught on his new boat. 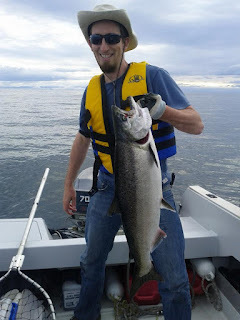 He caught at the Trap Shack on a red/silver coyote spoon. Way to go Leigh! 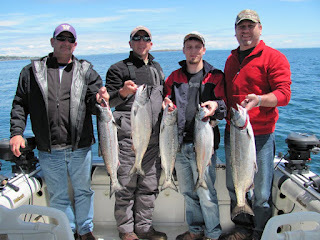 Gord from Foghorn Charters reports that salmon fishing has been good in all the usual Sooke spots. 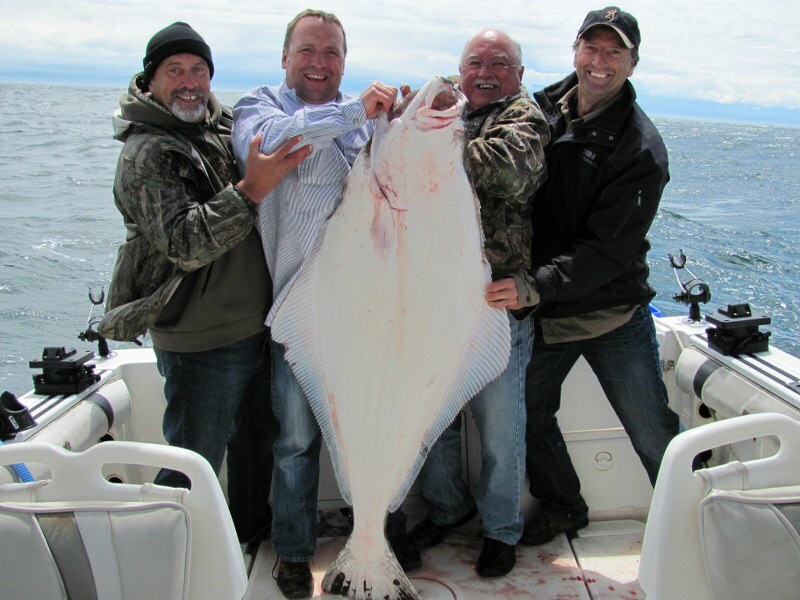 He notes that halibut fishing has been difficult with all the dogfish, but he found a nice one for "Muggsy" and his gang ... 110 pounds! Wishing a happy Canada Day weekend for everyone. Happier of course if you can get our fishing!